Everything The O.C. : The O.C. in the News: Young Sandy Meets Older Sandy in New Girl! The O.C. in the News: Young Sandy Meets Older Sandy in New Girl! A super cool mini O.C. reunion is happening, sort of! Before I get to that there was a scene in season 4 episode 13 of The O.C. called "The Case of the Franks". In this episode we went back to 1984 to see a glimpse of a young Sandy Cohen and Kirsten Cohen and the magic moment of how the two met! 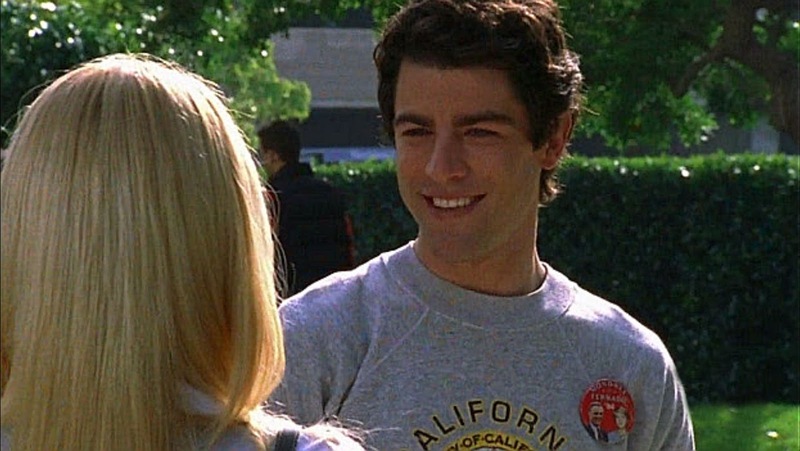 The actor that plays the young Sandy Cohen in this scene is Max Greenfield. Max Green currently plays the character Schmidt in the hit TV show New Girl. Now to the exciting news! The two collide in tonight's episode of New Girl. Peter Gallagher aka Sandy Cohen plays Schmidt's father! How cool is that?! The two look a lot alike! So essentially older and wiser Sandy Cohen goes back in time to let his younger self know to brace the roof of the Cohen mansion a little better, thus never having to move away from Newport! A Back to the Future-esque moment! Whatever the case, soak it in! Watch, set your TiVo or record via your grandm'as VCR tonight's episode and see a super obscure mini O.C. reunion happen before your eyes! A pre-Chrismukkah miracle!